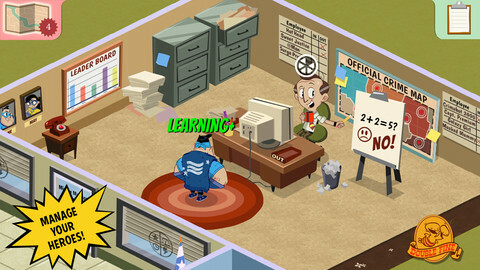 Thwart the ultimate office-based evil with our game guide. Are you ready to tackle the perils of bureaucracy? Does the evil of paperwork tremble in your in-tray whenever your gaze falls upon it? If the answer's yes, then you're probably ready to get stuck into Double Fine's fantastic new superhero game Middle Manager of Justice. Following our review earlier today, we've pulled together a few useful tips and tricks to get your superhero agency up, running, and saving the world in no time. 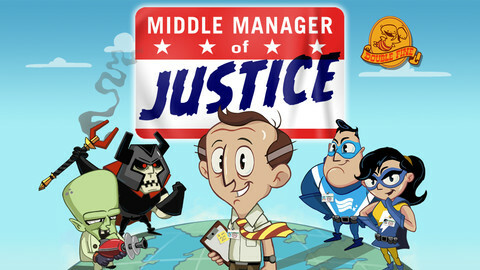 How do I get new heroes in Middle Manager of Justice? If you want to hire more superhero staff for your agency, you'll need to head to the recruiting section of the interface. Note that hiring a superhero requires Superium, and the different tiers of superheroes require different amounts of Superium. Once purchased though, they'll arrive at your agency automatically. How do I upgrade facilities in Middle Manager of Justice? 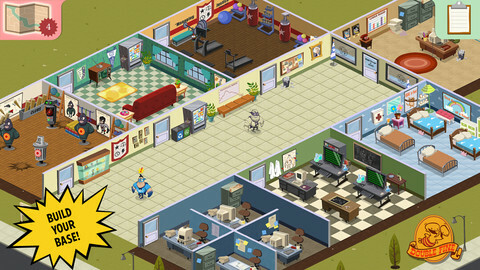 To upgrade a facility in the game, just tap on the building section and you'll be presented with the upgrade interface. Note that there are usually a series of requirements before you're allowed to upgrade, including the level of your middle manager. It's easy to forget who the real tough guy is here, so make sure you keep him busy and constantly leveling up too. What does promotion do in Middle Manager of Justice? If a hero levels up enough through missions, you'll be able to promote them. This awards new training opportunities, so be sure to keep a track of who's due a kind word! How do I motivate superheroes in Middle Manager of Justice? It's important to keep your heroes motivated and performing at the peak of their super-fitness. Morale is indicated by the smiley face on each hero's profile. If they're starting to look down, assign the motivation activity in the middle manager's profile. How can I get more Superium in Middle Manager of Justice? You'll start off with a set amount of Superium when you begin a game, and you'll also occasionally receive some more as a reward for completing missions quickly. If you really must get your hands on more, then you'll need to head to the cash store for a real-money purchase. Pack prices vary by region, so check the cost of these through your device. How can I make coins more quickly in Middle Manager of Justice? The faster you complete area missions, the more coins you'll be rewarded with, allowing you to improve your facilities and expand your agency. Of course, you need to make sure that you're balancing the needs of your superheroes with your thirst for cash, so assign heroes intelligently for each mission. Don't over-staff a mission that doesn't require it! 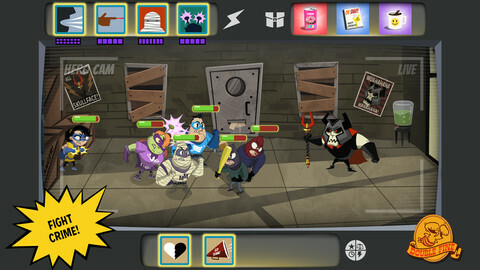 How can I improve my superheroes' stats in Middle Manager of Justice? You've got two choices. First of all, you can take them out of mission work and have them work-out in the gym or get a pep-talk in the office. Alternatively, you can head into the shop and pick up some new equipment that will give the hero an artificial stats boost as long as they're wearing the equipment. How can I get new costumes in Middle Manager of Justice? 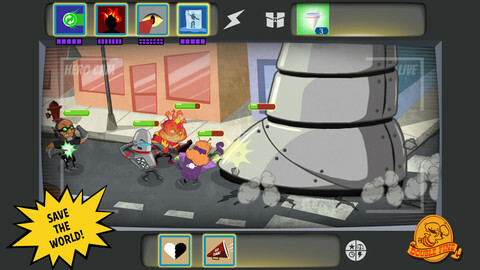 As your superheroes level up, you'll be able to equip them with new costumes that confer a few special ability effects. You'll need to get each hero to level five before they'll be able to wear the first new costume. What do the different snacks do in Middle Manager of Justice? Description: "Refreshing! And a conversation starter!" Description: "Coffee doesn't go bad, does it? Let's say it doesn't." Description: "This stuff will give you a crazy sugar buzz! Still legal!" Description: "These snappy comebacks will totally take the wind out of their sails!" Description: "Drink up, it's flu season! Not from concentrate." Description: "Tastes so bad it must be good for you!" Description: "Fresh from the yak to your face! Hormone Free." Description: "Doesn't have much heat or caffeine, but it does have the placebo effect!" Description: "Set a great example for the youth by guzzling this giant vat of sugar water!" Description: "Superheroes are mostly impervious to radiation! Drink up!" Description: "Makes you feel powerful and look all veiny!" Description: "Turn your 6-pack into a 12-pack!" Description: "It tastes like cardboard, but it's really only 70% cardboard." Description: "Baste this on your enemies to take them down a notch!"